RO Real Estate, the UK commercial property investment and development company, has completed the acquisition of a multi-let office building at 49 Clarendon Road, Watford, Hertfordshire. RO has purchased Victoria House from Cheshire West and Chester Council for £5.815 million, which reflects a net initial yield of 7.16%. 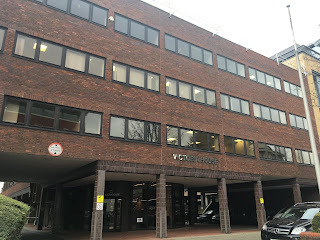 The 21,834 sq ft three-storey office building, which is in the heart of Watford’s prime office centre, has 4,704 sq ft of office space available in three suites ranging from 1,500 sq ft to 1,700 sq ft. Brasier Freeth are marketing the space to let on behalf of RO. Current tenants include Drop & Collect, the UK’s largest independent store-based parcel delivery and returns service, Hays Specialist Recruitment, the leading global specialist recruitment group and CH Robinson Worldwide (UK), a Fortune 500 provider of multimodal transportation services and third-party logistics. RO Real Estate was advised by Strutt & Parker, Cheshire West and Chester Council was advised by Capita. RO Real Estate is a privately-owned company specialising in commercial property investment and development in the south east, with a portfolio of more than £80 million of properties. It is the property division of the RO Group, which was founded in 1932 by Stanley Graham Rowlandson. His innovative attitude to business has been carried forward by his son, and current Chairman, Richard Rowlandson, who used the Group’s property and retailing experience to develop over 40 neighbourhood centres in the 1980s and 90s and 30 Pegasus Retirement Homes in the 2000s. Now Graham’s grandson and current Group Managing Director, Edward Rowlandson has grasped the mantle overseeing the Group’s investment in various entrepreneurial ventures which in addition to commercial property investment include residential development and high quality holiday lodge parks. 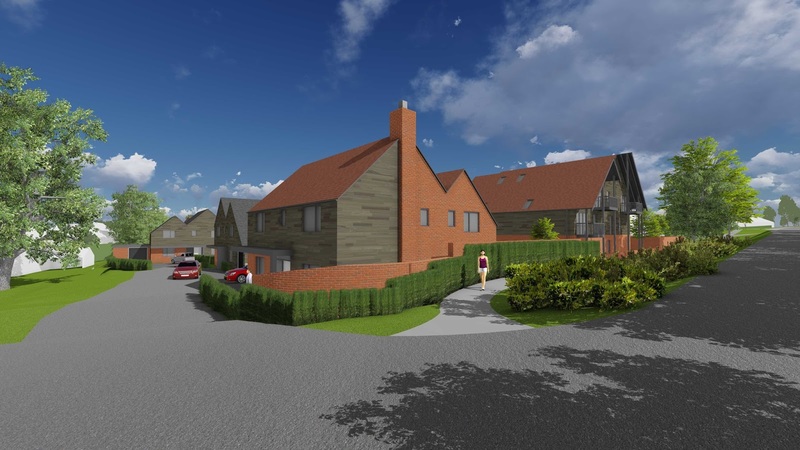 Following two years' work, Metis Homes has secured approval for their new development of 27 new homes at the old Station Yard in Sutton Scotney, just north of Winchester. The homes have a contemporary feel with a traditional palette of materials to be used. Adam O’Brien, MD of Metis Homes, said: “this new planning permission finally solves the puzzle of a difficult brownfield site that’s laid redundant and derelict for more than a decade. I am proud of our professional team and it is gratifying to have secured a scheme that has truly had the input of the community and of Winchester’s officers.’ Work will begin on site without delay’. Metis Homes is an experienced and highly respected residential development specialist with developments ranging from traditional homes in the countryside to exciting town centre schemes, and from small apartments to luxury houses. Metis Homes has been funded by the RO Group since its inception in 2007. The RO provides a substantial financial resource to the Metis business and adds its own property and trading expertise as necessary. Metis Homes complements the core values of the RO Group’s in business to do business philosophy. RO Real Estate, the UK commercial property investment and development company, has completed two lettings, totalling 6,060 sq ft of office space at Katherine House in Potters Bar, Hertfordshire, generating an additional rent roll of £120,340 p.a. RO has leased 2,443 sq ft of space to Next Step Care Management, a nationwide organisation offering alternative residential accommodation to young people, on a 10 year lease. A P Xpress, a design company supplying printed labels to the fashion industry, has taken a further 3,617 sq ft of space on a 10 year lease. Katherine House is a 3 storey self-contained office building, offering allocated parking for up to 18 cars. It is conveniently located near Potters Bar railway station which provides a 30 minute service direct to London Kings Cross Station. Brasier Freeth LLP acted for RO, while Next Step Care Management and A P Xpress were unrepresented. RO Real Estate is a privately-owned company specialising in commercial property investment and development in the south east, with a portfolio of more than £8 million of properties. It is the property division of the RO Group, which was founded in 1932 by Stanley Graham Rowlandson. His innovative attitude to business has been carried forward by his son, and current Chairman, Richard Rowlandson, who used the Group’s property and retailing experience to develop over 40 neighbourhood centres in the 1980s and 90s and 30 Pegasus Retirement Homes in the 2000s. Now Graham’s grandson and current Group Managing Director, Edward Rowlandson has grasped the mantle overseeing the Group’s investment in various entrepreneurial ventures which in addition to commercial property investment include residential development and high quality holiday lodge parks. RO Real Estate, the UK commercial property investment and development company, has completed the sale of a 31,667 sq ft Poundland store in Dudley, West Midlands to B&M Retail Ltd for £1.925 million. The property comprises 31,667 sq ft of space over three floors and is situated on the prime pitch in the High Street which benefitted from a multi-million pound improvement programme in 2015. Dudley is well located to the east of the M5 motorway and there are good rail services from Dudley Port via Birmingham to London. Nearby occupiers in the High Street include Boots, Santander, HSBC, Peacocks, Barclays Bank, Bon Marche, Superdrug, Wilko and Ryman. 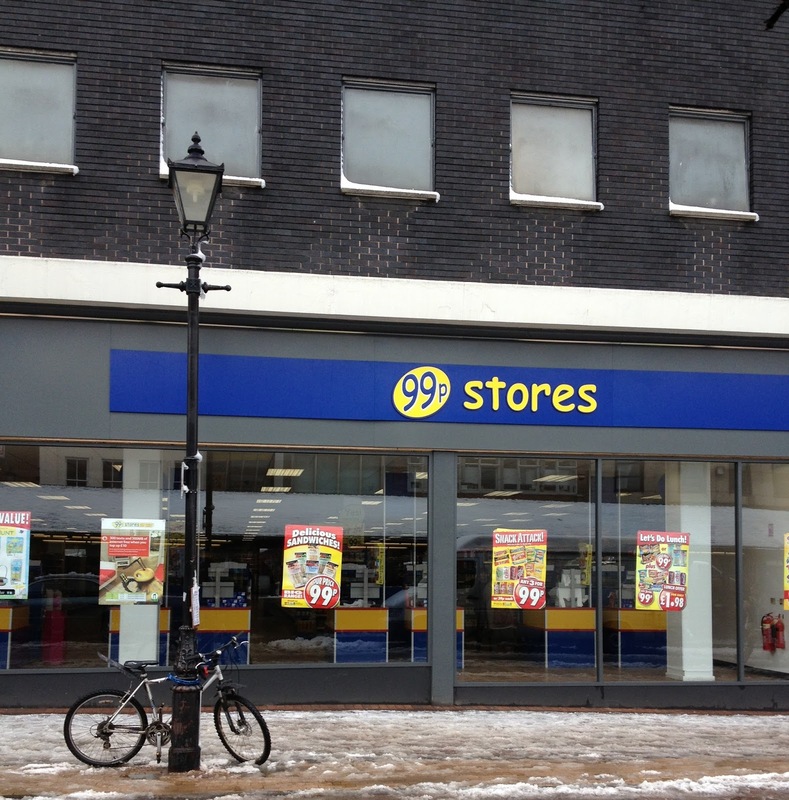 RO completed a number of asset management initiatives at the retail property including a refurbishment and reconfiguration of the unit as well as a new roof. 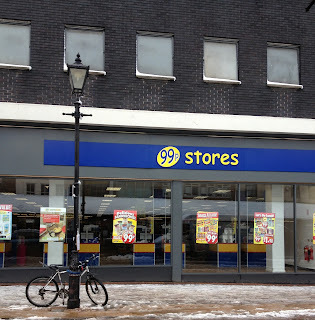 In addition the store has recently had an extensive new fit out by 99p Stores. This disposal is part of RO’s ongoing strategy to reposition its portfolio by carrying out a rolling disposal programme once the value of assets have been maximised and recycling the proceeds for reinvestment in core income and value-add opportunities in the south east. RO Real Estate still has a significant amount of cash to reinvest in lot sizes between £2-7 million. Lambert Smith Hampton advised RO and B&M Retail Ltd were unrepresented on this transaction. Winchester based, Metis homes is delighted to announce that it has won Silver at the WhatHouse? 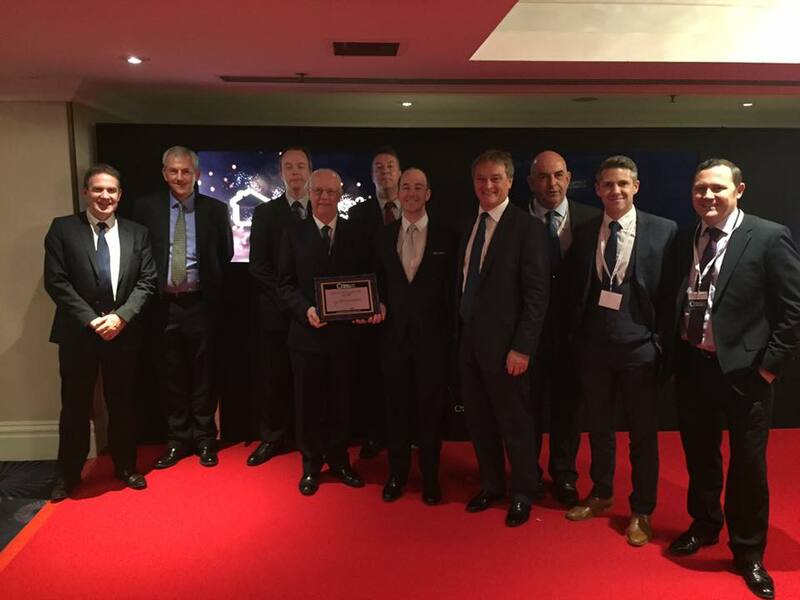 Awards 2016, which were held today at the Grosvenor House Hotel in London. The award was presented to Managing Director Adam O’Brien in front of over 1,700 industry professionals, the largest ever audience for the awards. Now in their 35th year the WhatHouse? Awards are widely recognised as the most prestigious in the housebuilding category and are referred to as the Oscars of the housebuilding industry. Metis Homes, whose strapline ‘Modern Homes. Traditional Values’ struck a chord with the judging panel, beat strong competition in a fiercely contested category to win at the first ever time of asking. Metis, which is backed by parent Company RO Group, has continued to deliver beautifully designed and finished homes with diverse architecture and stunning interiors across the price spectrum in its target regions of Surrey, Sussex, Hampshire, Wiltshire and Dorset. The business has now received a spectacular endorsement as an experienced and respected new homes builder, providing high quality developments with meaningful community support and engagement. “This is the first time that Metis has entered the WhatHouse? Awards and we are very proud that a judging panel of industry experts and peers has recognised the substantial progress we have made as a business in a relatively short period of time. It is a huge endorsement of the values that are important to our business. “In our awards submission we tried to give the judges an insight into those values, which include: quality of product; exceptional customer care; innovative marketing; strong community relations and CSR, collectively contributing to an impressive financial performance. Through its wholly owned subsidiary RO Real Estate, which acquires, manages and develops commercial property assets, RO Group has been very active in the south east, underlining its strategy of adopting a long term approach to business. In Sevenoaks, Kent, RO has acquired a 14,524 sq.ft multi-let office building at 1 Suffolk Way from Marley Pension Limited for £4.6 million. The four-storey office building with 59 parking spaces is close to local amenities and Sevenoaks Railway Station, providing excellent access to London via Charing Cross, Waterloo and London Bridge Stations. RO will seek to refurbish the property and provide high quality accommodation. The low level of supply, coupled with the high demand for good quality office space is already delivering strong rental growth. 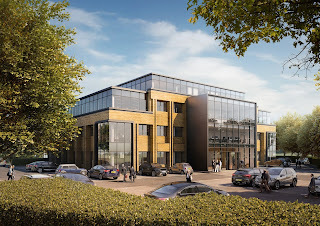 In Weybridge, Surrey, RO has begun work on Dakota, a speculative office development at Brooklands. A self-contained high quality modern office building comprising 35,582 sq.ft, Dakota will be prominently situated at the heart of the business park which has attracted a number of high profile occupiers including LG, Sony Europe, Samsung, Regus, Proctor & Gamble and Mercedes Benz. On completion, scheduled for March 2017, Dakota will offer four floors of up to 11,200 sq.ft. Future occupiers will also benefit from Grade A office space, 122 dedicated car parking spaces (1:290 sq.ft), two entertainment roof terraces, 30 cycle spaces and eight shower facilities. Following refurbishment and representation, RO has also recently sold Crabtree Office Village in Egham, Surrey, its four unit office park to House of Hiranandani for £4.3 million. Nearby in Staines, RO also owns Staines One, an 8,188 sq.ft three storey office building adjacent to Staines mainline railway station with 33 dedicated car parking spaces, acquired in 2007 and subsequently fully refurbished. Following strong demand, RO has fully let the building to tenants which include IDG, United Closures & Plastics and Le Mare Design at rents of up to £28.50psf. RO Real Estate is a privately-owned company specialising in commercial property investment and development in the south east, with a portfolio of more than £81 million of properties and £35 million of cash. It is the property division of the RO Group, which was founded in 1932 by Stanley Graham Rowlandson. His innovative attitude to business has been carried forward by his son, and current Chairman, Richard Rowlandson, who used the Group’s property and retailing experience to develop over 40 neighbourhood centres in the 1980s and 90s and more than 30 Pegasus retirement homes in the 2000s. Now Graham’s grandson and current Group Managing Director, Edward Rowlandson has grasped the mantle overseeing the Group’s investment in various entrepreneurial ventures which in addition to commercial property investment include residential development, high-quality holiday lodge developments, domiciliary and specialist care services. Established in 1932, RO Group is a family owned business which has a long heritage of investing in local economies across the UK. It has achieved this through a variety of trading and investment businesses, operating across diverse sectors, as well as by providing substantial support of local community charitable projects and causes. Through its wholly owned subsidiary RO Real Estate, which acquires, manages and develops commercial property assets, RO is delighted to announce two significant transactions, both of which underline its strategy of adopting a long term approach to business. Firstly, RO has acquired a prominent 48,441 sq ft office development on the harbour front within Town Quay, Southampton, from TH Real Estate for £7.6 million. Existing tenants include Bank of Scotland, the Secretary of State for Communities and Local Government and Lambert Smith Hampton. There are two vacant floors totalling circa 8,725 sq ft which RO is currently refurbishing having agreed a letting at £170,000 per annum; on completion of this letting the property will be fully let. The site is a short walk from West Quay and in an area that has been earmarked for significant redevelopment with numerous retail, commercial and residential development projects planned. LSH advised TH Real Estate on the sale of Southampton and CBRE advised RO. With a more than 80 year track record RO has always been committed to identifying and assessing long and medium term opportunities in regions which are being transformed as part of wider urban planning projects. This entrepreneurial attitude and investment in property has run through the ethos of RO Group since it was founded in 1932 by Stanley Graham Rowlandson. His innovative attitude to business has been carried forward by his son, and current Chairman, Richard Rowlandson, who used the Group’s property and retailing experience to develop over 40 neighbourhood centres in the 1980s and 90s and more than 30 Pegasus retirement homes in the 2000s. Now Graham’s grandson and current Group Managing Director, Edward Rowlandson has grasped the mantle overseeing the Group’s investment in various entrepreneurial ventures. 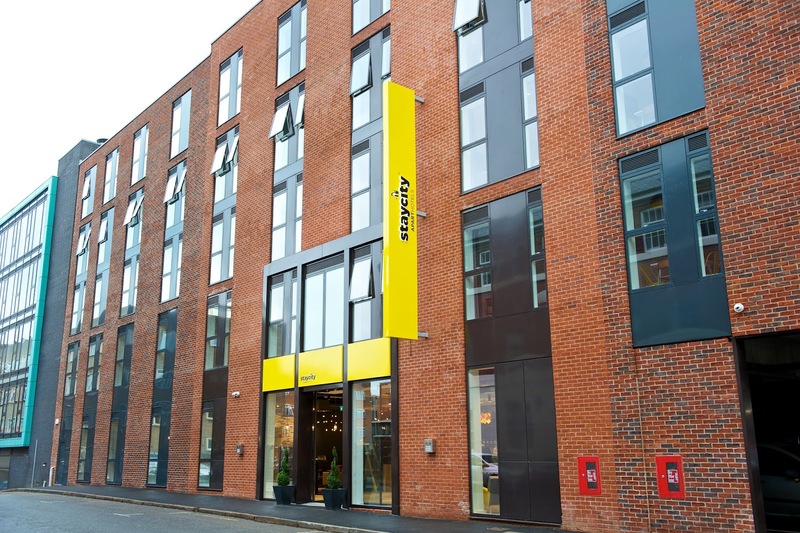 The Group has also just achieved the largest single sale of an individual property asset in its history, being the Staycity Hotel development in Birmingham’s Jewellery Quarter. 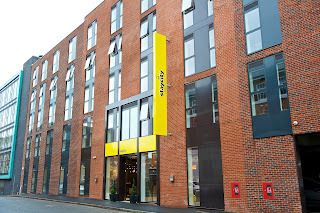 The Staycity development, which consists of 170 apartments within a five minute walk from the City Centre, has been sold to KFIM Long Income Property Unit Trust (Knight Frank Investors) for almost £21 million. The land had been in the RO’s ownership since 2008 and despite significant commercial challenges along the way, including two contractors going into administration, RO persevered with the project creating an impressive development right in the centre of Birmingham. Colliers advised RO on the sale of Staycity and Mulberry Bay advised KFI. Alongside these two transactions the RO has also recently embarked on a speculative redevelopment project in Weybridge. Dakota, previously known as Persimmon House and acquired in late 2013, is a 22,000 sq ft headquarters office building which is being refurbished and extended to provide 35,500 sq ft of grade A space. Construction work has begun and should be complete by the end of March 2017. Richard Bourne, head of RO Real Estate, commented: “These three examples are all reflections of the RO’s approach to property; finding opportunities to create value in every asset we own whether through redevelopment, refurbishment or general asset management. In doing so, we aim to deliver the optimum returns for the company and the highest quality assets for our occupiers. “The sale in Birmingham places us in an extremely strong position with significant cash resources, enabling us to move quickly and take advantage of new opportunities as they arise. The current portfolio performs very strongly and we are seeking to build on this by deploying circa £30m of cash in £2-6m lot sizes across southern England. All acquisitions will need to meet out strict criteria: low availability and high take up/demand in strong macro and micro locations. We always look at alternative use options and this can lead us to also buy some less obvious assets such as petrol filling stations and garden centres as well as the more mainstream sectors. The portfolio is risk adjusted with some long income, dry investment assets as well as some value-add opportunities and this will continue.